Does a Business to NGO (B2N) Relationship Exist? I have had my graduate students ask what are non-governmental organizations (NGOs) and why should they be considered as an externality to a corporate organization? A better question might be: Does a business-to-NGO (B2N) relationship exist and should we beware of outside agendas? First, what is an NGO? The term originated from the United Nations, and normally refers to organizations that are not a part of a government and are not conventional for-profit businesses. In the United States, NGOs are typically nonprofit organizations. The term is usually applied only to organizations that pursue wider social aims that have political aspects, but are not openly political organizations such as political parties. Second, the term “externality” originated from an economic perspective: a side effect or consequence of an industrial or commercial activity that affects other parties without this being reflected in the cost of the goods or services involved, such as the pollination of surrounding crops by bees kept for honey. In a Sustainability context, it takes another meaning: Externalities occur when a third party incurs unintended consequences from the market behaviors of others. Externalities can be either negative (pollution, waste clean-up fees that a community must bear, rather than the generator of the waste), or they can be positive (The Clean Water Act generates positive effects for many who were not involved in enacting the bill). Sustainability is in its infancy and understanding how to manipulate or replace one technology with another, or use a different best practice over another, or even find a better energy source that is reliable, safe, practical and cost effective can be very complex set of decisions and often require innovative approaches. Business must currently utilize existing energy resources to produce goods and services and create jobs and investments. Executives clearly understand that continuing to rely on local utilities is a risky decision. They also recognize that alternatives can produce significant tangible benefits for the corporation and energy efficiency is one of those opportunities. So, when costs for alternative energy sources are available, business will migrate. There is a raging debate about the importance of carbon energy usage. It is neither clear-cut, nor clearly understood. It is often a discussed in simplified terms, but in reality is interwoven into our biosphere and interacts with other recognized issues: global warming, climate change and increasing rise of emissions. But this is an issue that NGOs, like CDP, embrace and often distort to fit their agenda. So, why didn’t business furnish the data? From an executive’s point of view, compliance is not an NGO-business (B2N) function or purpose. Compliance is based on laws and regulations within governments (B2G) that corporations are legally incorporated and obliged to fulfill. But the drum beat by CDP seems to ignore what many of these companies have successfully done. In many ways they are the leaders of change and have begun the journey of reducing their carbon footprint. Had Cafino and Way actually researched a few of the 90 who didn’t report to CDP, they would have found much more. Energy efficient buildings – usually 35-40 percent of energy use is consumed by buildings. Amazon has constructed six new LEEDs Gold certified buildings. Amazon’s fulfillment centers in Indiana, Pennsylvania and Arizona received LEED certification for their commercial interiors. Beijing, China maximizes the use of natural lighting, saving thousands of kilowatt-hours of power usage each month. Facebook is often controversial. Its privacy policies and lack of transparency are often problematic. So, when the issue regarding carbon usage or even applying Sustainability is not clear; therefore, their organization is easy to target its brand image. So, what is an NGO? CDP is an organization that pursues wider social aims that have political aspects. It could also be viewed as an organization with an suspicious agenda. In this case, it demands information without authority, one that duplicates efforts from the business-government relationship model (B2G). So, in this context, what is the value-added? Maybe CDP should be obliged to apply Transparency themselves? No other time in history has mankind seen the probable future of the planet and will be judged by his actions to preserve it. I wanted to express my deep appreciation for those interested in the completion of my new book. Thank you so much for your interest for it, which often encouraged me to bring this second book to fruition. Here is an update to my publish timeline: I plan on publishing the book in the October – November 2103 timeframe. It will be available on Amazon and compliments the first book, “Any Questions? 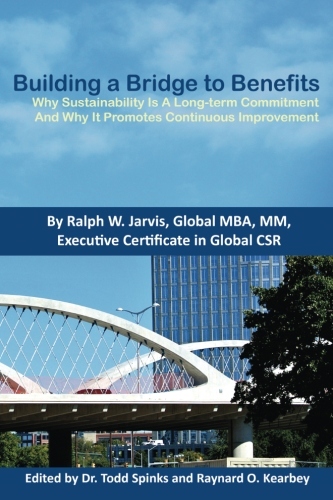 !” That book was the first primer to address the union of Sustainability and Lean Six Sigma practices woven onto business strategies to eliminate waste. As mentioned previously, “Any Questions? !” was a ‘why to of Lean Six Sigma’. The new book is designed to provide an understanding to “why Sustainability transformation” of a company. Why change to Sustainability? What is the value for business to change its enterprise? Why change to Lean Six Sigma? Why would you want to combine both concepts? Why is Sustainability a long-term Commitment and why it promotes a better future? Senior leadership needs to focus on a Vision that can be controlled and that can be affected. Elimination of waste is key for both Sustainability and Quality, regardless of your maturity level. Remember, Sustainability and Quality are long-term commitments, but benefit your enterprise for different reasons. Deming’s original groundbreaking intellectual capital was a keystone to future growth and application of Qaulity. However, from Deming’s point of view, Quality initiatives are not simply dismissed after a crisis. Deming become frustrated with American executives when most programs for statistical quality control were terminated once World War II and government contracts came to an end. However, the new book establishes the value proposition that the “spine” of Sustainability is fused with Lean Six Sigma to target and eliminate waste, internally and externally. The book walks you through CXOs perspectives to those targeted areas that need remediation. The final result is tangible bottom line benefits while improving brand image and recognizing corporate responsibilities in term of economic, environmental and social spheres. Four Emerging Trends in Corporate Social Responsibility, published by TriplePundit, bringing you the latest thinking on CSR, social media, and more. Written by Alison Monahan who is a web developer, turned lawyer, turned entrepreneur. She runs The Girl’s Guide to Law School and co-founded the Law School Toolbox. It’s CSR 2.0 — rife with risks but full of opportunities. Stop and think about it … you might want to read the next guy, being less verbose and more succinct, express a similar frustration.